Known during the War as a Tank Buster, the Typoon operated with the second Tactical Air Force whose main target was enemy tank formations. When used in this capacity as a fighter obomber it was capable of carrying two 1,000 Ib. bombs or up to 16 rockets. 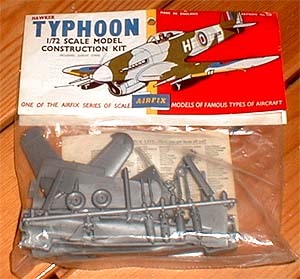 The Airfix kit is supplied with R.A.F markings.